Guy: This week welcome to the show Amy Myers. She empowers people around the world to take back their health using a pioneering approach to Functional Medicine. She offers her medically proven approach to prevent a wide range of inflammatory-related symptoms and diseases, including allergies, obesity, asthma, cardiovascular disease, fibromyalgia, lupus, IBS, chronic headaches, and Hashimoto’s thyroiditis. You have a personal experience with thyroid dysfunction – can you share that with us? What are symptoms of thyroid disfunction? What do you see as the greatest causes of this thyroid disfunction? How do conventional medicine and functional medicine differ in their approach to treating thyroid dysfunction? Tell us about how stress influences thyroid dysfunction. Dr Ron Ehrlich: Should We Use Fluoride In Our Toothpaste? Hey, this is Guy of 180 Nutrition. Of course, good morning, good day, good evening wherever you are in the world. 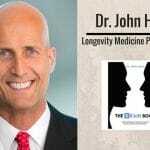 You are listening to the health sessions, where we connect with leading global health and wellness experts to share the best and the latest science in thinking, and empower everyone to turn their health and lives around. [00:00:30] This week we are doing it with the awesome Amy Myers. 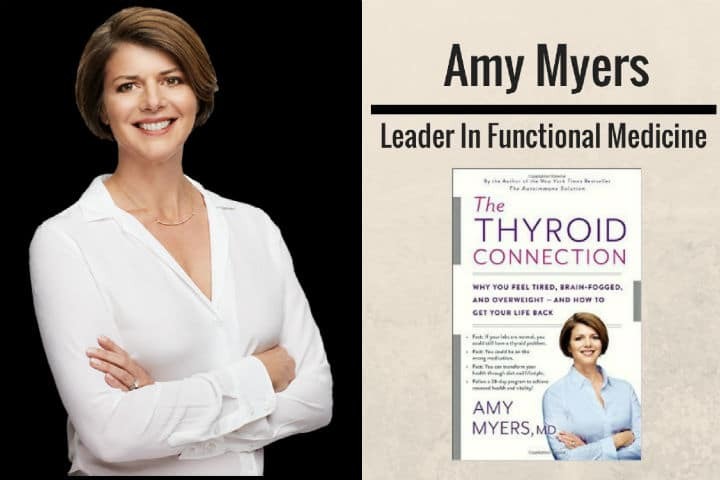 Now Amy is a New York Times Best Selling Author, and we’re here to discuss her new book tody, The Thyroid Connection, where why you feel tired, brain-fogged, and overweight, and how to get your life back. The thyroid’s such an incredibly important topic. It’s one that everyone seems to want more information on, so we were itching to get Amy on, and we dig deep into today about looking for signs and symptoms, and of course strategies and things you’re gonna power, and what to do about it. It’s fascinating. [00:01:00] Even just from her own personal journey and just things that we can do for our overall wellness. I loved this podcast, it was a pleasure getting Amy on the show. When she shared, she didn’t hold back today, and shared as much wisdom and knowledge as she could in the hour we spent with her. Now I just wanna mention as well you guys, don’t forget that our natural super food protein blends are now available in the US and in New Zealand and hopefully the UK to follow. Not too far away. If you’re looking to revolutionize your nutrition in one single smoothie and cut out some bad food choices, especially when you’re on the run, this is your answer. Come back to 180nutrition.com.au and check it out. [00:01:30] All right guys, let’s go over to Amy Myers. Enjoy. Hi, this is Guy. I’m joined with Stuart Cook as always. Good morning, Stu. Our lovely guest today is Amy Myers. Amy, welcome to the podcast. It’s a pleasure, absolute pleasure, mate. I wanna kick off the show with a simple question I ask everyone, Amy. That is, if a complete stranger stopped you on the street and asked you what you did for a living, what would you say? I would tell them that I’m a functional medicine physician. I often forget to say that I’m also an author and have a very large online presence and online store, but basically, I just tell people I’m a functional medicine physician. 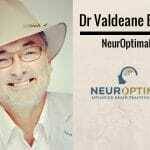 Expert in thyroid and autoimmunity. [00:02:30] Yeah, brilliant. Well, just for the viewers, I’ve got your book right here. Like I was saying pre-show, I didn’t realize so much could be written on the thyroid itself, so it’s gonna be an amazing topic to get stuck into today. I’m looking forward to it. Amy, one thing we do as well for the listeners as well, especially if you’re gonna be new to many of them, is, could you just give us a little bit of a background of your own story? What led you into functional medicine in the first place? [00:03:00] My story could take up the entire podcast. Lucky for your listeners, if they’re able to pick up a copy of my book, or either book, The Autoimmune Solution or The Thyroid Connection; there is a chapter in both books that are my story, but I’ll give you the abbreviated version here. The high level is, I do what I do everyday, because of my own … I say conventional medicine failed me; it’s my mission to not have it fail you as well. It’s my own story with autoimmunity and thyroid dysfunction. I had Graves’ Disease. That’s really what gets me up everyday, and gives me the passion to do what I do. [00:03:30] My second year of medical school, I am a classically trained MD. In my second year of medical school, I started having panic attacks and weight loss, insomnia, and ultimately a tremor. I was having muscle weakness so bad, I had to hang on to the rails to go down the stairs. I eventually went to my doctor; they brushed me off as medical school stress, telling me that I was just thinking I had everything I was learning in medical school. Just told me that basically it was all in my head. [00:04:00] I had been through many stressful things in my life, and had never responded to them this way. I knew that that was not all that was going on. I insisted on a full work op. They called me back and said I had Graves’ Disease. Nobody in my family that I was aware of had had an autoimmune condition, so I didn’t know what that was. [00:04:30] Most people are familiar with Hashimoto’s, which is where your thyroid gets underactive, and everything kind of slows down in the body. Mine was overactive, so everything was revved up; it was causing anxiety, and the panic attacks, and the insomnia, and the tremors, fast heart rate. That explained everything. Then the options in conventional medicine, at least in the United States; I imagine they are in Australia as well, are not great. It’s medication to shut down your thyroid. It’s blowing your thyroid up like Hiroshima. Or to have it surgically removed. As opposed to many people, at least in the United States they go to medical school, I actually went, knowing I’d do exactly what I’m doing today; I just didn’t know what that was called or how to get there. [00:05:30] I had a holistic view. I was the president of the complimentary alternative interest group. I did all my electives in integrative and functional medicine, although it wasn’t called functional medicine back then. I was a vegetarian at 14, my parents were very worldly and gave us Chinese herbs when we were sick. Even though I went to conventional medical school, I really didn’t view things that way. I viewed it much more holistically. These three choices I was given were very overwhelming and didn’t really sit well with me. I actually went back to my roots, tried Chinese medicine; tried a lot of different things and none of them worked. I ended up taking the medication, and ended up with something called toxic hepatitis from it. It’s literally supposed to happen to one in a million people. Very long story short, I had my thyroid ablated. Again, I don’t wanna spoil it all for everybody. [00:06:00] It’s so funny, people have told me that my book is a page-turner, which is the highest compliment I think somebody can have when you’re writing a sort of medical book, is to have a page-turner of a medical book. A health book maybe, not medical book. [00:06:30] Anyway. I eventually had my thyroid ablated, finished medical school, did an emergency medicine residency, became an emergency physician in a trauma center, and then eventually got back to my roots of holistic medicine. Found out about functional medicine. Did all the training through the institute for functional medicine, and then eventually opened up my own clinic, and of course, wrote The Autoimmune Solution and The Thyroid Connection, and work with people literally from all over the world. With really any type of condition, but particularly autoimmunity and thyroid. [00:07:00] Brilliant. He came on the show a couple of weeks back, or should I say a month or two back now. He had a similar sort of story, you know. From his own issues and adversity, he went on to search functional medicine, and is doing amazing job today. I was just curious, how long did it take you to piece the puzzle together from when you were first having the symptoms of the autoimmune diseases? To then go on that path to resolve the issues through functional medicine? [00:07:30] For me, I think I’m a little older than Chris. For me, when I was having my symptoms, there really wasn’t functional medicine. Functional medicine just had its 20th anniversary, so there really were not any practitioners. I had done an elective with Dr. Andrew Weil. We called him, he didn’t know of any alternative treatments for Graves’. [00:08:00] I did everything that I could, but there was no me back then. That I was aware of. There are times when conventional medicine is really good for people. You could die from Graves’ Disease if you don’t get treated. You could have a heart attack. I eventually had to do something. I made the best choices I could. I think the larger question is … Then I was caught up in medical school, and then residency, so I always ate what I thought was healthy. I was a vegetarian, I thought that was healthy; of course, now I eat like a paleo diet. [00:08:30] I was eating Ezekiel bread. I ate organic food. I grew up with parents who … My mother made us homemade yogurt when we were little. We made homemade whole wheat bread. I always ate what I thought was healthy. I wasn’t eating Twinkies. I didn’t grow up on junk food. There are a lot of people that do, but I grew up on brown rice. I grew up on tofu and broccoli, and so even in medical school and working in the ER, people would be eating McDonald’s. I was sitting there with brown rice, and tofu, and broccoli for lunch. [00:09:00] I thought I was doing things to help me, in terms of nutrition. Once I found functional medicine, it was quick. I already had gone to medicine, into medicine, with this idea of holistic view. I was a Peace Corps volunteer as well, and I did a lot of natural medicine studying on the side when I was in the Peace Corps. [00:09:30] Finally it was a place that put the pieces together for me, whereas a lot of people … I think Chris is similar in that he had his event, and then I think he went to acupuncture school. A lot of people go to conventional medicine, even have a practice, then they have their event. Most people who practice the way that I practice have had a personal story, and have been failed. Otherwise, they wouldn’t get into this. That’s not unique, but I think more people go, they open a practice, then they have their event, and then they have to change their way of thinking. [00:10:30] I knew that I would find it, and I didn’t wanna have a practice that I had to then change. I knew that I could work in the ER, and I could find what I was looking for, and then go open the practice. If I never found it, I could at least do international health and other things that I was passionate about, or conventional medicine is very good, at least here in the United states, about trauma and things like that. I didn’t feel like I was sort of selling my soul when I was going into emergency medicine. I don’t know if that answered your question. No, it’s incredible, it’s … Yeah, yeah, yeah. It’s just an incredible journey. [00:11:30] I would like to broach the thyroid, if we can. I guess you’re probably the best person, at least between the three of us, to answer these questions. A couple of weeks ago, I was on a flight from where I live in Byron Bay to Sydney. There was an in-flight magazine, and they had a one-page advert for a thyroid medication. It said, “Do you have any of these symptoms?” It was like constipation. “Do you have diarrhea? Do you have dry skin, oily skin?” There was a whole page of symptoms, and I thought, “Wow. I could say that I’ve got a thyroid issue.” I think almost anybody on that flight, who looked at that ad, would say exactly the same thing, because there were just so many symptoms. I’m confused. Tell me about the thyroid. What is it? Why do we need it? How do we know if it could be dysfunctioning? [00:12:30] Our thyroid is a butterfly-shaped gland right here on our neck. I don’t have one. For those of you who do, that’s where it sits. It regulates our entire metabolism. Like I mentioned, Hashimoto’s is typically the underactive thyroid. When you have that, everything slows down. There are receptors on every cell in our body for thyroid hormone. That is why that list of symptoms was very long and affected almost every organ probably that you were reading about, because from your brain literally to your toes, there are receptors. When it slows down, everything slows down. You might have brain fog or depression, you might have slow heart rate, you might have dry skin, your hair might be falling out, you might have low body temperature. Your bowels might slow down, and you might have constipation. [00:13:30] I was stressed in medical school. I was very stressed, and that could have been a lot of those symptoms, but I knew my body well enough to know that that was more than just stress. A lot of times, the symptoms don’t fit neatly into the box. Somebody might have weight gain … Of course I didn’t mention that. Weight gain or weight loss. You might have weight gain, and constipation, and dry skin, but they might have anxiety. Yeah, I mean a lot of people have it. When removed, what … How do we operate differently when you have your thyroid removed? What does that mean? [00:15:00] No, we can get into that. Some people, while doing my program, can get off of it or avoid getting on it, but if you’re like me: you had cancer, you had Graves’ Disease and it was ablated. Or it’s been going on for 10, 20, 30, 40 years, and enough damage has been done to your thyroid; you’ll likely need to be on some amount of supplemental thyroid hormone. That doesn’t mean there’s no point in reading the book or doing the program, because most thyroid dysfunction is autoimmune, and once you have one autoimmune disease, you’re three times more likely to get another. You definitely want to get to the root cause of that and stop that fire. There are ways you may be able to reduce the supplemental thyroid hormone, or just feel better because you’ve addressed some of the underlying causes of why you got it in the first place. [00:16:00] This book, and it’s why it’s called The Autoimmune Solution, because I helped a lot of people do that. There was a solution. They wanted to call it The Thyroid Solution, and I didn’t feel I could do that, because I didn’t feel like the full solution was in a book for some people. For some people it is, but other people it’s not. You need to work with your doctor, and that’s what the book, in addition to addressing the underlying root causes and helping you figure them out, it’s also how to work with your doctor. Make sure you’re getting the right labs, you’re getting the right diagnosis; you’re on the right form and type of supplemental thyroid hormone. It’s not meant to be that everybody needs to find a functional medicine doctor. That was also my commitment in writing this book, is that it’s something that people could work with their regular doctor on, because it’s difficult to find somebody who practices functional medicine; sometimes there are long waits to get in. It can be very expensive. [00:17:00] My mission is to really help as many people as possible. I feel like I did that with this book, and that was the point, that they didn’t need to go anywhere special. Brilliant, fantastic. Sorry Guy. How accurate nowadays is the diagnosis? [00:17:30] Excuse me. When you get the diagnosis, the diagnosis is typically accurate. Meaning the doctors knows that this is what you have. Now whether you are getting the diagnosis or not, that’s where the problem lies. Conventional medicine, at least here in the United States, is typically A) they’re not often checking, because of what I mentioned. [00:18:00] Women are more likely than men, so you’re a man, you’re less likely to get checked. Doesn’t mean you can’t have it. It happens with women typically around times of hormonal change, after pregnancy, after birth. Perimenopause, menopause, and a lot of times these symptoms that women will be having, feeling tired, their hair’s falling out, they don’t have any libido; these can all be brushed off as that time of life, and so it doesn’t get checked. When they do check things, they’re typically only checking a TSH, and a TSH is really looking at the pituitary, not the thyroid itself. What we found out later, when they were doing the reference range, that to find the reference range for the TSH, they actually included people who had thyroid dysfunction. They found that out later. [00:18:30] The range is way to broad. Even the Academy of Endocrinology has said, “This range is too broad, it needs to be more narrowed.” A lot of people are getting missed because they’re only getting a TSH. They’re not getting a free T3, free T4, reverse T3, thyroid antibodies … I of course can go into all of those in a minute if you need me to. They’re not getting all the task. When they do get the task, they’re often being diagnosed under normal reference ranges, not optimal. [00:19:30] Those are really the three biggest failures, and then the fourth is that physicians are not looking for underlying nutritional deficiencies; we need a lot of different nutrients, and I can get into those as well, in order to make our thyroid hormone, convert our thyroid hormone, and get it into the cell. That’s one of the biggest places I see, and we just give them the nutrients they need, and then they don’t have a thyroid problem anymore. Then of course, they’re not looking at the underlying root causes, of which in my book, I write about five different ones. We can go into detail about each of those, but our diets, our leaky guts, our toxic world, the stress in our lives, and infections. [00:20:00] When you address these underlying causes, often you can reverse this. Now the book is partly about Hashimoto’s, but it’s also about those people with Graves’ which is what I had. We’ve had amazing success with people not having to have their thyroid removed like I did. The dietary part of the program is the same, but the supplements are different, and then I have some extra thyroid calming herbs instead of those harsh medications that gave me toxic hepatitis, that people can use. [00:20:30] Yeah, and so it’s been really amazing. I’ve gotten lots of feedback from people who’ve been able to get off the medication, get off the harsh, terrible medication to shut down your thyroid. They didn’t have to have it ablated like me. They didn’t have to have it surgically removed, and they’re living a normal life not having to take any type of medication, and their thyroid’s fully functioning and normal now. [00:21:00] Would you mind delving into the five a little bit for us, Amy? At least our listeners can start to address, even before they start self-diagnosing, if there’s things that they could be improving upon generally with their health, even if it might lead to thyroid dysfunction. [00:21:30] I think that all chronic disease is caused by these five factors, not just thyroid dysfunction, but I write about these as well in The Autoimmune Solution. That is our diets; we’re eating, particularly here in the United States, processed foods, genetically modified foods, hybridized wheat, dairy that is … The cows are not the same cows that our ancestors were using. Our animals are pumped up with antibiotics and hormones. So our diet. Then we have leaky gut, which I’m sure you’ve had other people talk about, but if you need me to get into that, leaky gut. [00:22:00] We have toxins. Specifically related to the thyroid and what I spent a lot of time talking about in this book over the other book is … Of course there’s toxins that are affecting us, plastics, and [inaudible 00:22:01], and phthalates, and heavy metals. Particularly with the thyroid, we have the halogens, which are bromide, halide, and fluoride. Bromide, chloride, and fluoride; they’re halogens, and they look very similar to iodine in our body. Iodine is mostly found in our thyroid, and we need it to make our thyroid hormone. [00:22:30] We, at least here in the United States, are iodine-deficient. We’re no longer eating iodine the way that we did in our diet, got taken out of our salt. We’re already deficient. Then we’re being exposed to so much more chloride, fluoride, and bromide through water, through medications, through baked goods, through flame retardants, through home products, through our … Not sure if I said water. Our food and the soil. [00:23:00] All that’s getting displaced in our body. It’s really setting us up for … I think that’s one of the biggest problems regarding thyroid. [00:23:30] Then we have stress. Well, infections. There’s certain infections that have been linked to autoimmunity, and very specific ones to thyroid in general. Yersinia, it’s a digestive or a gut infection. H. pylori, small bacterial overgrowth has been linked to SIBO. SIBO has been linked to Hashimoto’s. Then stress. We’re living stressed out lives, and many of us are dealing with adrenal fatigue, and stress. Some people say stress is a toxin. [00:24:00] I address all five of those in my book. Show you what you can do; I can quizzes for leaky gut. Of course I have a whole dietary-based program, I have quizzes about leaky gut, various infections like SIBO and Candida in the book, and how to naturally treat those. I have stress-reduction techniques as part of the program. I have nutritional deficiencies as well. I formulated a custom multi-vitamin to go along with the program to address a lot of those nutritional deficiencies, including iodine. There’s some iodine in the multivitamin as well. [00:24:30] Myself and Stuart are fortunate enough to … We’ve been podcasting for over four years, we’ve been working. I’ve explored all these kind of avenues. You slowly kind of start incorporating them into your life, see what works for you, what doesn’t. Like I say, we’re quite fortunate to be exposed to this information every week, right? How would you bring that into somebody that was new? Would you address just one thing at a time, or would you just try bringing in small components of each? How would that look like for someone? First of all, I like to think of this as a pie, and that there are five pieces to the pie. You could have three people in my office all with the same diagnosis, say Graves’ Disease. For one person, gluten could be the biggest factor. For somebody else, their stress could be the biggest factor. For somebody else, toxins could be the biggest factor. [00:25:30] For most people though, it’s diet, and it’s the leaky gut. Feedback that I get from articles that I write in both of my books, is that I give you enough information to let you know that you should pay attention, but I don’t give you so much that you get overwhelmed. The main focus of both books is on the solution. I’m very action-oriented and solution-oriented. [00:26:00] I understand when I threw all of that out there, that could seem very overwhelming to people. When you go through the program, when you read the book, I feel, and the feedback that I’ve gotten from literally tens of thousands of people, is that yes, it still can be overwhelming; I try to break it down and give you piece-by-piece. This is where to start, and this is what to do. [00:26:30] I’m analytical, rational, step-by-step. That’s how I wrote these books. I kind of put them in that way, you know? Let’s start with the diet, and usually the gut usually goes hand-in-hand. The first step in healing the gut is changing the diet. Usually, back in the day when I started my practice, just getting people off of gluten and dairy was huge. They come back with amazing results. Now, of course, I have people flying in from all over the world to see me, and they’ve got five autoimmune diseases, and they’ve been reading everything, and they’ve been off gluten and done a paleo diet for five years before they come to see me. It’s not so easy anymore. [00:27:00] For somebody that’s new, I would tell them, “Just give up gluten. Or follow the whole dietary program.” Gluten, because of something called molecular mimicry, can look very much like thyroid tissue. Our body can confuse it. If you can only give up one food, it would be gluten. If you can give up two, I’d give up gluten and dairy. If you’re ready to dive in and do the whole shebang, please follow the guidelines in the program. That might be a bigger piece for you than, say, toxins. For somebody else, they might have a mouthful of amalgams, been a pescatarian and eating tuna. It’s two cans a day for the last ten years, and spent a year doing study abroad in China. Well, then maybe heavy metal. [00:28:00] I think reading the book and sort of figuring out where do you need to triage? If you need help, I have wellness coaches that can work with you. Of course, you can come see us in my clinic, but diet and gut are usually where I tell people to start. From there, go into the other pieces. Unless one of the other pieces is like overt, like I just mentioned, and it’s really just screaming alarm bells at you that you need to go there first; that’s where I would go. Leaky gut, and healing gut, and dysbiosis, and all that shebang. That is very much a word in everyone’s vocabulary these days. What do you think the average time would be to able to transition from a leaky gut to be well on the way to recovery? Are we talking weeks? Or could it be years? [00:29:00] Well again, I’m dealing with people with very chronic conditions at this point, and so you didn’t get in this boat overnight. For a lot of them, it can be several months. For somebody who maybe isn’t that complex, or hasn’t been diagnosed yet, it can be less time. In general, the gut cells turn over every 48 to 72 hours. We know through research, by looking at the microbiome, that changes in diet in, I think it’s 24 to 48 hours, can change your microbiome. [00:29:30] The good news is, it can happen quickly. Many people who are in the boat of having had a diagnosis already, probably have yeast overgrowth or candida. Probably might have some parasites. Might have some SIBO. It can take 30 days to heal each one of those infections. Part of healing the gut, is getting rid of those infections. I think it depends on the extent of what’s going on. [00:30:00] Doesn’t mean to discourage you or to give up. I always like to look at things in terms of the positive, and how to empower you. Empowering you is, everyday you get to make the decision about if you’re gonna heal your gut, or you’re gonna create a leaky gut on the end of that fork. These cells turn over very quick, the bacteria in our gut respond very quickly. Even if your gut isn’t 100% healed, people get results much more quickly than … It can be dramatic for some people just getting the gluten out. I don’t hear those stories quite as much anymore, because again, people are so … Now I have books. Those people that got those good results were able to get it by just reading the book, which is amazing. [00:30:30] I’m getting all the people who read the book, tried it on their own, even maybe worked with another functional medicine doctor; got better, but didn’t get 100%, so now they’ve made the commitment to come see me. I don’t hear those success stories. I mean I hear them on Facebook, and we get emails and stuff like that, but I don’t hear them face-to-face in my clinic anymore, because I’m just seeing really the complex of the complex. [00:31:00] You know, certainly back in the day … Again I get the feedback on Facebook all the time. For some people, just going gluten free can be huge, and it can make a difference in a few days. If it doesn’t, don’t get discouraged. It doesn’t mean it’s not your problem, it just means that wasn’t the only problem, and that you gotta dig a little deeper, go a little further. Many people that I speak to say, “Well, I kinda do that. You know, I only have a little bit.” It’s always a little bit. Is that little bit going to be the crux that keeps you in that state of illness? Or does it need to be complete elimination? [00:32:00] I think, first of all, everybody’s an individual. I think anybody making broad statements, or making black or white, this is how it is. [00:32:30] Probably needs to open their mind a little. Everybody is an individual, but in making a broad statement, what I would say is that if you’re somebody without a chronic health condition, and you get rid of gluten 80%, that is probably a good thing for you. Just because it’s sprayed with roundup. We know that roundup causes leaky gut. I think, at least nowadays, the way that we’ve changed our food supply, again at least here in the United States, that everybody would benefit from giving up or dramatically decreasing gluten. Or likely, gluten and dairy. Now, if you’re dealing with somebody with an autoimmune condition, or a thyroid condition, whether it’s autoimmune or not; through that process of molecular mimicry, with gluten in particular. Then the research shows nearly 60% of people with a gluten issue have that same issue with [casing 00:32:55] because of molecular mimicry. [00:33:00] With those people, I would say there is no in between. There really does need to be black or white. What we know is that if you have an autoimmune condition, likely you have a gluten sensitivity, because of that molecular mimicry. Every time you eat it, you have the potential to stimulate your immune system for up to three months. That means you get four passes in a year. You never give your immune system a break. When I tell people that, they usually don’t have a problem giving it up. Those are the people that I would say that there is no pass with those foods. Then you have to figure out, what are the foods that are an absolute no, and what are food that are okay? During the 30 days, I say there are no passes. Now if you’re somebody who’s … You can either jump into the pool, or you can walk into the pool. The people who need to walk in, and that’s what they need to do. That’s what they need to do. I want to meet you where you are. If you can dive in, dive in, and there are no passes during the 30 days. [00:34:00] Then after you figure out … I show you how to gradually add the foods back in. You see one of your no-no foods. I’ve had people have a worse reaction to corn than gluten or dairy. Some people are horrible with caffeine or sugar, or alcohol. You have to figure out what are your no foods? [00:34:30] I eat this way. I call it the Myers Way. It’s essentially an autoimmune paleo protocol. I’ve tweaked it a bit, based on what I’ve seen in my clinic. I went to India a couple years ago, and it was a vegetarian country. I was going to an orphanage where I donated some money to build a kitchen. I knew I was going to be eating rice and beans and lentils. That was fine. I did that. That’s what I needed to do there. I was not gonna eat naan. I was not gonna eat cheese. You just gotta figure out … I literally brought a suitcase of food in case I was stuck in a situation. [00:35:00] You have to figure out what your no foods are. I know what my absolute no’s are. I saw this thing going around on Facebook, I think Rob Wolf posted it. It was something about committing to the no or something, and once you’re committed to the no, life was much easier. I don’t know if you guys saw that. It’s like when you know it’s your absolute no, this whole room could be filled with cake, and I’d walk out the door, like I wouldn’t even think twice about it. [00:35:30] Now you fill it with something like dark chocolate or some jellybeans, and I might be more tempted, because I know that those aren’t absolute no’s for me. I’m not gonna tell you I don’t ever eat sugar. I’m not gonna tell you that I don’t ever have a mixed drink. We had our holiday Christmas party, and I had a half a drink. I’m not gonna tell you don’t ever do those things. I don’t do them frequently, but I can tell you that I don’t ever do gluten or dairy. Those are my absolute no’s, and I just don’t … Makes life a lot simpler. You just don’t even have to think about it. Perfect. It is also uniquely different, and absolutely it’s so important to find out what your trigger foods are. You can just walk around it. The question I want to ask you, Amy, is where does exercise fit into all of this? Does this support it? Yeah. [00:36:30] Yeah, so it’s really important. I don’t talk about it as much in the books, because again, I’m dealing with so many people with chronic illnesses, and particularly autoimmunity, that could have Hashimoto’s undiagnosed and they’re exhausted, and they can’t even get out of bed practically. Or somebody with rheumatoid arthritis, or MS. I don’t want people to feel bad. I personally exercise. I have a trainer, I do high-intensity work out. Dumbbell, kettle bell swings, and dead lifts, and stuff like that. It’s important, but you gotta know where the person is. [00:37:00] Or, “She doesn’t understand, I’m in a wheelchair,” or something like that. I don’t mention it in the books, and I don’t talk about it a lot in general, but it is something that I personally do and believe in, if you have the physical ability and the energy to do that. Yeah, without wearing yourself out. Yeah. Yeah. You mentioned the program as well. The Myers Ways 28 Day program. If I dived into that, what would I expect? Like I mentioned, probably the first half of the book is just really telling you about those underlying causes. Again, like in the chapter about leaky gut, there’s a quiz: “Do I have leaky gut? Do I have candida? Do I have these?” You go through checklist and figure out … There’s about stress. “Do I have adrenal fatigue?” There are quizzes and checklists. [00:38:00] Once you get to the program, it’s literally, “Wake up, if you’re taking supplementary thyroid hormone, do that; taking these supplements, do that. Sit down, spend 10 minutes, 20, whatever you want to do.” Some stress-relieving activity, and I’ve given you a lot of options. Some that I recommend daily, some that I recommend weekly, some that I recommend you just try out once a month. Just to get out there, see if there’s something that works for you. Then it’s mostly just a dietary-based program. It walks you through what to have for breakfast, snack, lunch, dinner. [00:38:30] Then again, winding down, we all know. Everybody’s talking about sleep, and amber glasses, and all that stuff. Of course I’m talking about that, too. I love my amber glasses, I love my amber light bulbs. I don’t know if you guys have had Dan Pardi on this show, but he’s awesome and changed my life regarding sleep. I have things to wind down, get ready for bed, unplug your router. [00:39:00] Again, these are all meant to be simple, easy things; not things to overwhelm people. If you can’t do it all, or you don’t need the glasses, or you don’t wanna unplug your router, that’s all okay. Just at least try to change your diet and fix your gut, and with that, most people will get well. For me, it was life-changing. Yeah, I mean my husband can go to sleep, drink a cup of coffee … Yeah, go ahead. Instant relaxation. You put them on and you’re in a different world. A calm world. [00:39:30] No, for sure. I can definitely tell if we’re traveling, or we’ve gone out to dinner. It drives my husband insane. I’m actually doing a PBS, a Public Broadcast TV show in March. I have the amber glasses as part of my program, and we’re giving them away for pledges. For me, it’s life-changing. For him, he could have a cup of coffee and fall asleep in two seconds. For me, I can really tell a difference. [00:40:00] Again, I mentioned I was in the Peace Corps, and back then, the world gets up with the sun and goes to bed when the sun goes down. They’re farmers. I experienced watching the seasons change, and just living in nature, essentially. We’ve so lost that. [00:40:30] For me, it really does make a big difference. If I’m on my computer, and then I try to go to bed, I’m wired. If I put on those glasses … For those people who don’t know, what it’s doing is stimulating the sun setting down, and it’s blocking out all this artificial light. What it’s doing is signaling your body to start producing its melatonin. What’s happening is all of us, our melatonin is suppressed, our cortisol remains high, we get in bed, we can’t fall asleep, because of all this artificial light. It’s trying to get that process back to nature. [00:41:00] Just for people out there, if you’re gonna buy some of these glasses on Amazon, definitely look at the reviews, because I bought about five pairs. Honestly, the ugliest, cheapest ones block the light better than the really expensive ones. There’s a really expensive pair out there that celebrities are wearing, and if you put on the glasses and then look at something blue, you’ll see it actually does not block them. I’m not getting anything out of this, I’m just telling people. Literally, the $7 ones not only work as good, they actually work better than the $89 ones. They’re not as cute-looking, but they do work as well. [00:41:30] That’s right, I have heard that. Mine are like DIY builders’ glasses. They’re plastic, they wrap all the way around. A great telltale sign is that on a television, I’ve got an intense blue standby light. When you put it on, you can’t see it. It completely disappears. Exactly. You don’t wanna see me after a rough night’s sleep, so let me wear them. I wanna see of picture of them on Instagram. That’d be great. [00:42:30] Amy, we ask a couple of people on the show a few questions at the end. The first question is, what are your non-negotiables to be the best version of yourself? Non-negotiable is messing with my sleep. Or making me eat gluten or dairy. Yeah. Last question is, Amy, is what’s the best piece of advice you’ve every been given? Yeah, so it was from Dr. Katie Hendricks. Hendricksinstitute.com, she’s a personal friend. Showing appreciation. Letting people know. [00:44:00] Based on their researches, for every one negative thing, it takes five appreciations for the person to sort of forget about that negative that you said. We’ve gotten out of the habit. My husband and I used to end our night with five appreciations for one another. It’s life-changing. Once I learned how to appreciate people, both by telling them, and by showing them. It’s amazing what you do when you approach someone with an appreciation, and to start whatever conversation, or whatever it is. Everything changes with those appreciations. Everybody appreciates being appreciated. I love being appreciated. Learning how to appreciate was the best advice I’ve ever gotten. We appreciate the answer to that question. Essentially, we’ve never heard that before. Many people have said very similar things to that question, but that’s very different. It makes perfect sense. Of course, why wouldn’t we? It’s like, “Whoo!” Somebody’s whole mindset changes when you appreciate them. Absolutely. Brilliant. Yeah, I love it. Really. [00:45:00] Perfect answer. Thanks, Amy. For everyone listening to the show, where can we send them to if they wanna get your book, if they wanna join your program, or just follow you on Facebook? Whatever it might be to get in the world of Amy Myers. [00:45:30] A-M-Y-M-Y-E-R-S-M-D.com is my website. All my social media’s Amy Myers, MD. Since you guys are in Australia, I don’t know if the book is available on Amazon in Australia, but I’ve just recently found something called The Book Depository, and I don’t get anything out of this if you order a book there, but they have free shipping worldwide. Pretty much look like Amazon prices. That’s where we’ve been sending a lot of people if my book is not available. I use Book Depository for everything, and it’s phenomenal. I definitely recommend people check that out. [00:46:00] I can’t believe I went years without knowing, you know? All these people are waiting for the book to … Both books are being published in a lot of different languages. It takes a year or two after the book’s been published to get them in those languages, and so Book Depository, particularly if you’re in an English-speaking country, sounds like a great deal. Yeah, absolutely. Thank you so much, Amy. Congratulations on your new book. I’m making my way through it. The depth of knowledge is phenomenal. Absolutely phenomenal. I have no doubt anyone that buys that book, and actually takes the time to read it, is gonna do themselves a lot of justice moving forward. [00:47:00] It’s great that it has a pretty cover, but you definitely get your money’s worth. Don’t let the fact that it’s thick dissuade you. Literally, several people have told me that it’s a page-turner. That it’s super easy to read, so hopefully you’ll like that there’s lots of info, but that it’s easy to read. I appreciate you guys for having me on your podcast, and helping me reach the other side of the world with my message. Thanks so much. Yeah, thanks for coming on. Really appreciate it. All right, you all take care. I can’t wait to read her book, I had Graves Disease as well, and the only choice was to have my thyroid removed. Since having it removed and also having a baby I have really struggled. Maybe Anne has the answers I have been searching for! Thank you Guy and Stunfor bringing this author and book to light. PS: both books are available on Audible as of today (23/02/2017).